An Original Six NHL member, the Broadway Blueshirts boast one of the most renowned histories in the last hundred years of North American professional hockey. With the New York Rangers returning to the Stanley Cup Final for the first time in twenty years in the 2013 2014 season, their presence is more prominent than ever. 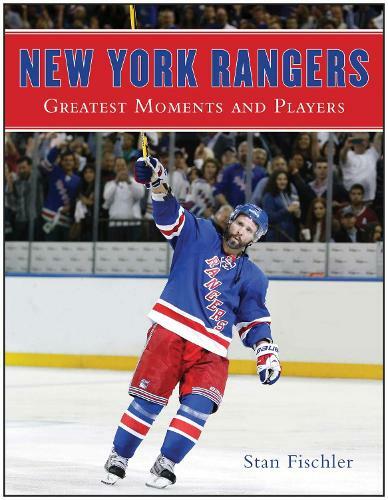 In this newly updated edition of New York Rangers: Greatest Moments and Players, first published in 2007, hockey's premier historian recounts all of the Rangers' luminaries such as Andy Bathgate, Brian Leetch, and current goaltender Henrik Lundqvist, as well as their most telling moments on the ice. Throughout the years, Stan Fischler, a Manhattanite of almost half a century, has covered both the Blueshirts' highs and lows. Regarded as the dean of American hockey journalists, he has been covering the sport for sixty years, and has been following the Rangers even longer. With over ninety books on hockey published to date, there is nobody better to narrate the history of one of hockey's most celebrated clubs, the New York Rangers, than Stan Fischler. Skyhorse Publishing, as well as our Sports Publishing imprint, are proud to publish a broad range of books for readers interested in sports books about baseball, pro football, college football, pro and college basketball, hockey, or soccer, we have a book about your sport or your team.